I've been toying with this idea for some time and would like some feedback. 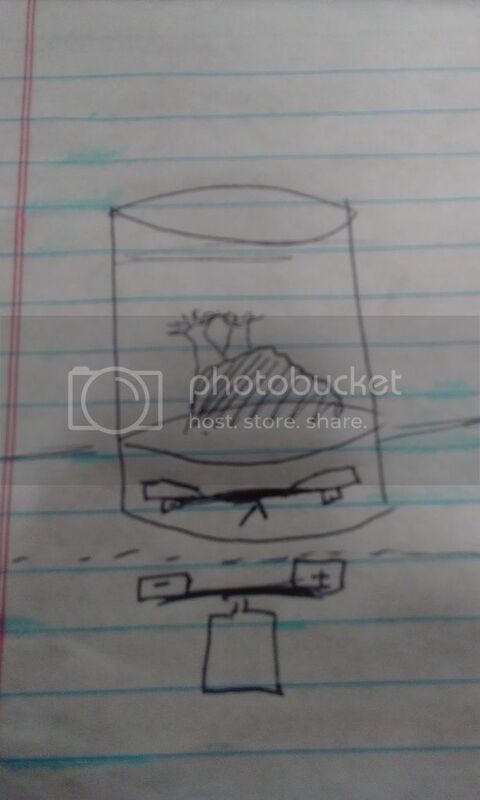 My idea is to take a small jar and build a magnetic drive circulation system on the bottom and the motor being under my desk. Above a perforated floor will be a rock with some sun coral. My goal is an office desktop reef that won't need lighting, exposed wires, or be big enough to get attention from corporate who frown upon desk "clutter".